A musical setting is a musical composition that is written on the basis of a literary work. The literary work is said to be set, or adapted, to music. Musical settings include choral music and other vocal music. A musical setting is made to particular words, such as poems. By contrast, a musical arrangement is a musical reconceptualization of a previously composed work, rather than a brand new piece of music. An arrangement often refers to a change in medium or style and can be instrumental, not necessarily vocal music. A Requiem or Requiem Mass, also known as Mass for the dead or Mass of the dead, is a Mass in the Catholic Church offered for the repose of the soul or souls of one or more deceased persons, using a particular form of the Roman Missal. It is usually, but not necessarily, celebrated in the context of a funeral. After Gioachino Rossini's death in 1868, Verdi suggested that a number of Italian composers collaborate on a Requiem in Rossini's honor. He began the effort by submitting the concluding movement, the Libera me . During the next year a Messa per Rossini was compiled by Verdi and twelve other famous Italian composers of the time. 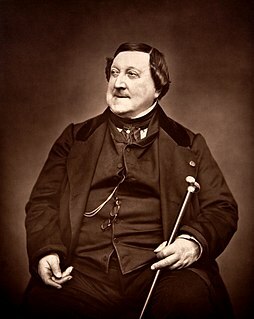 The premiere was scheduled for 13 November 1869, the first anniversary of Rossini's death. Helmuth Rilling is a German choral conductor and an academic teacher. He is the founder of the Gächinger Kantorei (1954), the Bach-Collegium Stuttgart (1965), the Oregon Bach Festival (1970), the Internationale Bachakademie Stuttgart (1981) and other Bach Academies worldwide, as well as the "Festival Ensemble Stuttgart" (2001) and the "Junges Stuttgarter Bach Ensemble" (2011). He taught choral conducting at the Frankfurt Musikhochschule from 1965 to 1989 and led the Frankfurter Kantorei from 1969 to 1982. Alessandro Francesco Tommaso Antonio Manzoni was an Italian poet and novelist. He is famous for the novel The Betrothed (1827), generally ranked among the masterpieces of world literature. The novel is also a symbol of the Italian Risorgimento, both for its patriotic message and because it was a fundamental milestone in the development of the modern, unified Italian language. Manzoni also sat the basis for the modern Italian language and helped creating linguistic unity throughout Italy. 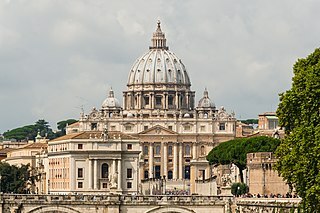 He was an influential proponent of Liberal Catholicism in Italy. San Marco is a church in Milan, northern Italy. Maria Waldmann was an Austrian mezzo-soprano who had a noted association with Giuseppe Verdi. The Requiem was repeated at La Scala three days later on 25 May with the same soloists and Verdi again conducting. It won immediate contemporary success, although not everywhere. It received seven performances at the Opéra-Comique in Paris, but the new Royal Albert Hall in London could not be filled for such a Catholic occasion. In Venice, impressive Byzantine ecclesiastical decor was designed for the occasion of the performance. 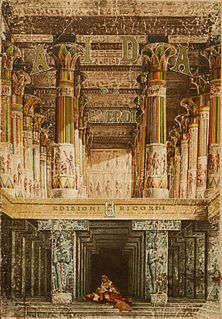 For a Paris performance, Verdi revised the Liber scriptus to allow Maria Waldmann a further solo for future performances. Previously, the movement had been set for a choral fugue in a classical Baroque style. With its premiere at the Royal Albert Hall performance in May 1875, this revision became the definitive edition that has been most performed since and the original fugue now survives only in early published vocal scores. strings : violins I, II, violas, violoncellos, double basses. The War Requiem, Op. 66, is a large-scale setting of the Requiem composed by Benjamin Britten mostly in 1961 and completed in January 1962. The War Requiem was performed for the consecration of the new Coventry Cathedral, which was built after the original fourteenth-century structure was destroyed in a World War II bombing raid. The traditional Latin texts are interspersed, in telling juxtaposition, with extra-liturgical poems by Wilfred Owen, written during World War I. The Los Angeles Master Chorale is a professional chorus in Los Angeles, California, and one the resident companies of both the Los Angeles Music Center and Walt Disney Concert Hall. It was founded in 1964 by Roger Wagner to be one of the three original resident companies of the Music Center of Los Angeles County. Grant Gershon has been its music director since 2001, replacing Paul Salamunovich. Andrew Lloyd Webber's Requiem is a requiem mass, which premiered in 1985. It was written in memory of the composer's father, William Lloyd Webber, who died in 1982. Polish Requiem, also A Polish Requiem, is a large-scale requiem mass for soloists, mixed choir and orchestra by the Polish composer Krzysztof Penderecki. The Lacrimosa, dedicated to the trade union leader Lech Wałęsa, was written for the unveiling of a statue at the Gdańsk Shipyard to commemorate those killed in the Polish anti-government riots in 1970. He expanded the work into a requiem, writing other parts to honour different patriotic events over the next four years. The Polish Requiem was first performed in Stuttgart on 28 September 1984. Penderecki revised and expanded the work in 1993, and expanded it again in 2005 with the additional movement, Ciaccona. It is called Polish Requiem because its parts are dedicated to heroes and victims of Polish history. One of the better-known works by Penderecki, the mass largely follows the liturgical Latin of the requiem format with the addition of Święty Boże, the Polish translation of the Trisagion. Antonín Dvořák's Requiem in B♭ minor, Op. 89, B. 165, is a funeral Mass scored for soloists, choir and orchestra. It was composed in 1890 and performed for the first time on 9 October 1891, in Birmingham, England, with the composer conducting. Jennifer Larmore is an American mezzo-soprano opera singer, particularly noted for her performances in coloratura and bel canto roles which she has performed in the world's major opera houses. Christa Bonhoff is a German contralto and mezzo-soprano singer. The Monmouth Civic Chorus (MCC) is a community chorus in Monmouth County, New Jersey, USA. The mission of Monmouth Civic Chorus is to offer a diverse repertoire of choral music to the community in an environment that promotes individual and collective artistic growth and encourages mutual support and camaraderie. MCC was established in 1949, is recognized by national and community awards, and draws its members primarily from the Monmouth County community. Performances encompass choral classics; premieres; rare and contemporary music; musical theater, opera, and operetta; the annual December concert featuring selections from Handel's Messiah and well-known holiday music; Christmas carols and small-ensemble performances around the community; and collaborations with arts partners. MCC has performed on tour in many European countries, and at numerous performance venues in the Mid-Atlantic region of the United States. Le Laudi, Op. 25, is an oratorio by the Swiss composer Hermann Suter. The full title is Le Laudi di San Francesco d'Assisi (The Praises of St. Francis of Assisi , based on Francis of Assisi's Canticle of the Sun in the original Italian. Suter scored it for soloists, choir, children's choir and large orchestra. Premiered in 1924, it is one of Suter's most important works and has been performed regularly in his home country. Barbara Joyce Robotham was an English mezzo-soprano opera singer and concert soloist who later became a distinguished voice teacher at the Royal Northern College of Music. Diane Curry is an American operatic mezzo-soprano who is particularly known for her performances of the works of Richard Strauss, Richard Wagner, and Giuseppe Verdi. She was notably the mezzo-soprano soloist on the 1987 recording of Verdi's Requiem by the Atlanta Symphony Orchestra & Chorus and conductor Robert Shaw which won the 1988 Grammy Award for Best Choral Performance. The Requiem is a composition for soprano, mezzo-soprano, tenor, baritone, chorus, and orchestra by the American composer John Harbison. Composed over a period of seventeen years, the complete work was finished in 2002 on a commission from the Boston Symphony Orchestra. Its world premiere was given by the soprano Christine Brewer, mezzo-soprano Margaret Lattimore, tenor Paul Groves, baritone Jonathan Lemalu the Tanglewood Festival Chorus, and the Boston Symphony Orchestra under the direction of Bernard Haitink on March 6, 2003. The Requiem by the Hungarian composer György Ligeti is a large-scale choral and orchestral composition, composed between 1963 and 1965. 1 2 CD liner notes (Verdi: Requiem / Quattro pezzi sacri). Naxos Records. 1997. 8.550944-45. ↑ "REQUIEM | Okanagan Symphony Orchestra" . Retrieved 2019-01-12. ↑ "Defiant Requiem: Verdi at Terezin" on pbs.org. Retrieved 29 December 2013: See Theresienstadt concentration camp for "Terezin"